five manuscripts of the Dead Sea Scrolls—ancient documents that include the oldest known biblical manuscripts in existence. Written more than 2,000 years ago on pieces of parchment and papyrus, they were preserved by the hot, dry desert climate and the darkness of the caves in which they were hidden. The Scrolls are possibly the most important archaeological discovery of the 20th century. Today, we’re helping put more of these ancient treasures online. The Israel Antiquities Authority is launching the Leon Levy Dead Sea Scrolls Digital Library, an online collection of some 5,000 images of scroll fragments, at a quality never seen before. The texts include one of the earliest known copies of the Book of Deuteronomy, which includes the Ten Commandments; part of Chapter 1 of the Book of Genesis, which describes the creation of the world; and hundreds more 2,000-year-old texts, shedding light on the time when Jesus lived and preached, and on the history of Judaism. Millions of users and scholars can discover and decipher details invisible to the naked eye, at 1215 dpi resolution. The site displays infrared and color images that are equal in quality to the Scrolls themselves. There’s a database containing information for about 900 of the manuscripts, as well as interactive content pages. We’re thrilled to have been able to help this project through hosting on Google Storage and App Engine, and use of Maps, YouTube and Google image technology. This partnership with the Israel Antiquities Authority is part of our ongoing work to bring important cultural and historical materials online, to make them accessible and help preserve them for future generations. Other examples include the Yad Vashem Holocaust photo collection, Google Art Project, World Wonders and the Google Cultural Institute. We hope you enjoy visiting the Dead Sea Scrolls Digital Library, or any of these other projects, and interacting with history. 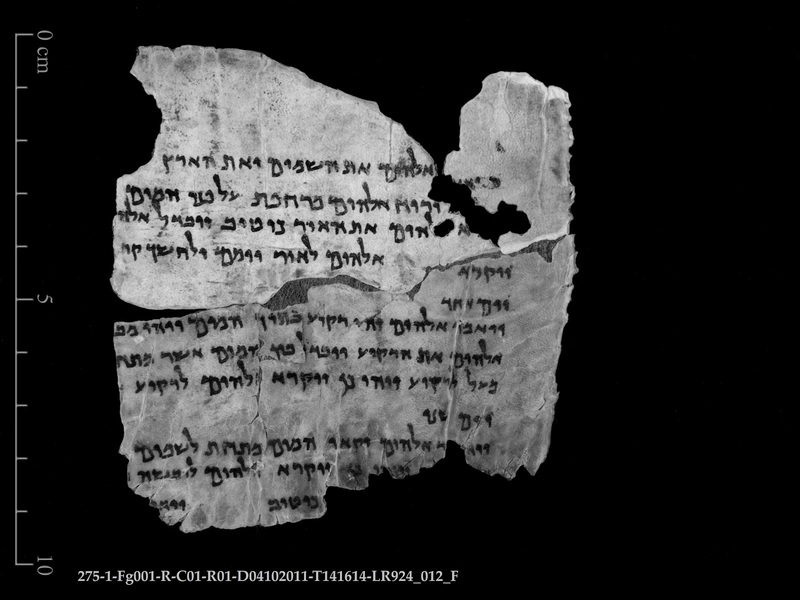 A little over a year ago, we helped put online five manuscripts of the Dead Sea Scrolls—ancient documents that include the oldest known biblical manuscripts in existence. Written more than 2,000 years ago on pieces of parchment and papyrus, they were preserved by the hot, dry desert climate and the darkness of the caves in which they were hidden. The Scrolls are possibly the most important archaeological discovery of the 20th century.